The opening of Prey feels like it’s been pulled from a Christopher Nolan movie. You’re given the choice between a female or a male Morgan Yu, Asian-American engineer and all round technological prodigy, and inside the first ten minutes, the game begins seeing how much it can get away with. Even from its early developmental stages, Prey has been heavily anticipated, and although it’s now almost a month old, it’s still worth a look. Prey is by no means a completely original adventure. The inspirations from a smorgasbord of late 90s PC classics — System Shock 2, Deus Ex, and even the original Half-Life just to name a few — are clear, without the game being an obtrusive clone. 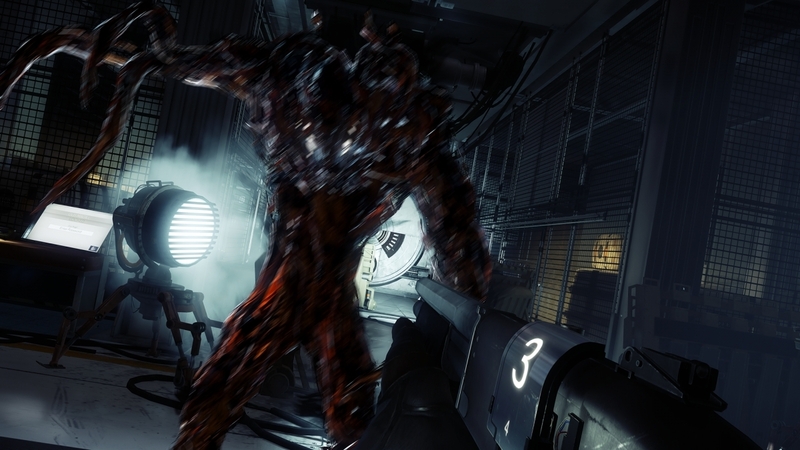 Arkane has even admitted to building Prey as a spiritual successor to the System Shock franchise. With all these influences, plus the story polishing of Chris Avellone (of Fallout: New Vegas and Knights of the Old Republic II fame), to say Prey has something to live up to would be a bit of an understatement. Visually, Prey swerves somewhat from these expectations, however. Talos I, the space station upon which Morgan’s adventure takes place, abandons a pure cyberpunk setting in favour of moving towards an almost art-deco feel around the station’s interior, especially through the opening levels. Prey is set in an alternate future wherein JFK was never assassinated, and instead put a great deal of resources towards the space race. Thanks to this, the station, somewhere near Earth and the Moon, takes on an aesthetic pointing to it being a spiritual successor to the first two BioShock games, the second of which Arkane themselves developed. We can further see influences from other games, and from the minds at now-defunct Irrational. This increasing list of influences aside, Prey is quite clearly a well designed game with a consistent pop-science aesthetic. Whiteboards littered with equations and not-entirely-infeasible technology litter landscapes that exaggerate the corporate ownership of TranStar, the company behind Talos I. Prey‘s host of textbook shapeshifter aliens, the Typhon, are harrowing melds of shadowy black goo and either synthetic or organic matter; encountering each different subspecies is aptly terrifying. In design, Prey seems to be ticking all the right boxes, but given the credits Arkane already has to its name, plus the hardware power of current-gen gaming consoles, it feels like there’s something missing. By no means is there anything wrong with how Prey looks: it just has room for improvement, especially coming from a studio which has two Dishonored games and a BioShock instalment under its belt. Prey consistently sounds good, too. Australian Mick Gordon is listed as the game’s composer, whom you may remember from last year’s Doom reboot. His work here is different, capitalizing instead on an eerie OST loop which serves as a haunting companion for traversing the halls of Talos I. A cool-sounding, familiar burst of synthwave music pops up every couple of hours after completing a substantial objective, which provides a nice sense of acknowledgement. 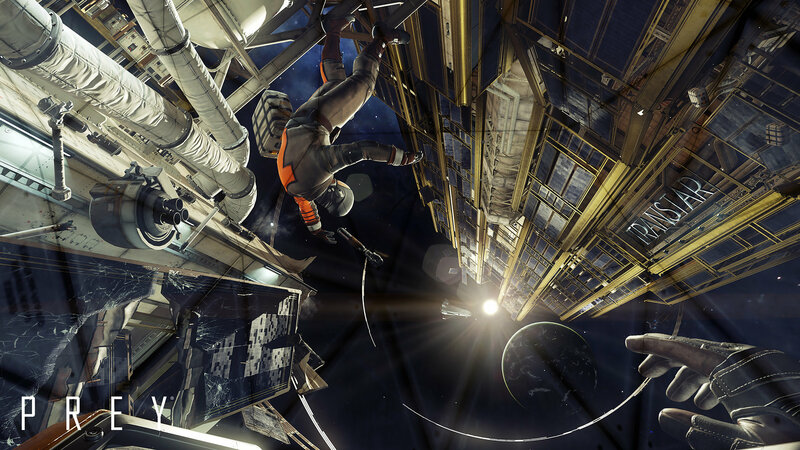 However, where Prey shines in its audio, oddly enough, is outside the space station. The game carries several mandatory spacewalk sections along the gargantuan hull of Talos I. The subtle, precise muting of all sound effects during these creates a harrowing awareness of the deathly, silent vacuum that is space. This makes it even more horrifying and neurotic when you’re being hunted by Typhon three times your size, around corners you’re finding it difficult to navigate anyway; it’s a strange kind of attention to detail which really pays off. The problems with the sound only start to arise after about fifteen hours of gameplay. Prey is deceptively long for a completionist run; which means that a total of thirty-one minutes of original music starts to lose its charm for a particularly lengthy playthrough. For a sole story run perhaps it wouldn’t be problematic, but to sit down and scour everything Prey has to offer, you begin to feel you’ve heard it all before two thirds of the way through the game. That said, the game has some hidden tracks kicking around that you can stumble onto, such as this. It’s seamlessly weaved into the exploration process of the game as a recording of a prior Neuromod (read: your skill points) display to stumble upon, and becomes one of Prey‘s many little connect-the-dots points of subtle immersion. Prey makes apt use of a combined power & weapon wheel, which feels easy to use. For most powers, a time-slowing pull-and-release left trigger system — at least on consoles — allows you to wait until the absolute perfect moment to deploy powers, while still allowing you to run-and-gun with the right trigger. It’s accessible and fun, but there are flaws when you begin to dig deeper. The lack of iron sights will alienate all but the oldest of FPS players, and it’s frustrating at the best of times. 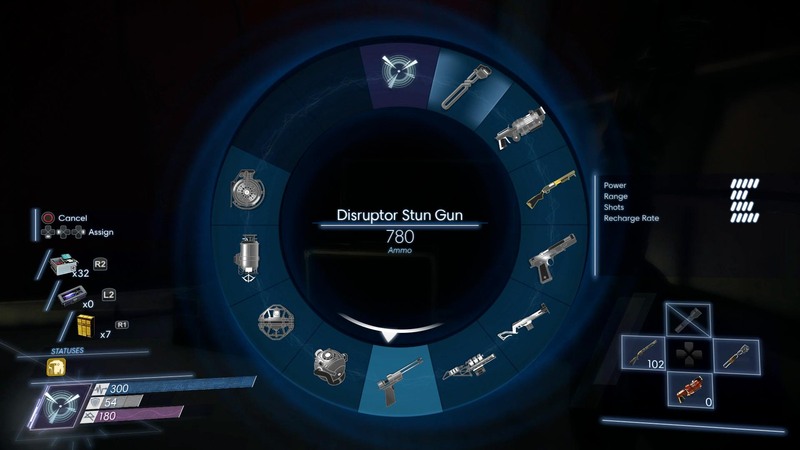 Players are only given one weapon capable of firing at long distance. It’s not imperative, but the built-in Psychoscope zoom is about as useful as a bar of wooden soap when it comes to anything other than scanning. The best way to play Prey seems to be abandoning any kind of long-range approach whatsoever, opting instead just to run in with a shotgun and hope for the best. This is all understandable, however, my biggest gripe with the controls remains the zero gravity segments. I understand that perhaps the frustration of navigating Prey‘s hallways in zero gravity might well be an apt parallel for the frustration of navigating hallways in zero gravity in real life, but it remains frustrating nonetheless. Inside the station, controlling Morgan’s movement is a process of joyous fluidity. Outside the station, or in the utility tunnels, it’s nothing more than a pain. There’s one moment where you’re forced to descend downwards carefully through an access shaft, filled with split gas pipes spraying fire, and exploding Typhon-balloons which are attracted to any kinetic movement around them. It’s about as fun as it sounds. I felt Prey‘s strongest suit was its gameplay. With a wealth of choice on how to build your character through a pseudo-RPG growth system making use of the plot-weighted Neuromods. There are three basic ways to play Prey, and innumerable variations of those three. Its core combat mechanics are simple but varied; sometimes you must use your GLOO Cannon to immobilize an enemy, before attacking it physically for massive damage. Other times, you must use a psychic dampening grenade or a nullification ability to stop certain alien subspecies from frying, zapping, or crushing you. Electroshock and mimicry abilities allow you to beat certain Typhon at their own game. It even offers the novel recycler charges, which allow you to turn deceased enemies into blocks of dubiously-named “material”, which Yu can craft into supplies. Scanning enemies to discover their weaknesses makes scouting situations a viable choice, and balancing conservation of your limited materials between medkits, ammo, and science-mana potions makes Prey as much about survival outside of battle as it does inside. Choice is not all Prey offers. As the game progresses, your challenges expand and multiply. Undertaking a certain sidequest (albeit a difficult-to-miss sidequest) means that a minor NPC will start leaving traps for you at every juncture. Fighting telepaths and technopaths is reminiscent of some of the larger open-world minibosses in recent gaming memory, provoking responses similar to Skyrim‘s dragons or BioShock‘s Big Daddies. Those of you who have chosen to fight the harrowing Nightmare Typhon rather than cowering under a bench in the lobby for the entire duration of the three minute counter, I salute you. The bottom line is that, ten hours or so in, Prey becomes a real challenge, with every fight feeling like a substantial effort. Ill management of your resources and inaccurate shooting will pain you for battles to come. On top of that, Arkane has made sure to repopulate areas you’ve already completed for late-game backtracking to make things even more fun. It’s the kind of challenge which fills you with simultaneous dread and adrenaline. Prey’s story is powerful and simple enough to follow, leaving it accessible after long breaks from the game, peaking near the beginning and around the final act. It falls somewhat flat in the middle, which is a disappointment, and before long, you’ve lost the ability to empathize with Morgan, who may as well be a silent protagonist. During this middle third, the game trudges you through sector after sector of the space station in pursuit of vague objectives, but you can’t begrudge it for that; In that trudging is where Prey, oddly enough, shines. Arkane’s previous experience with BioShock is on display when playing through, and Arkane achieves the resounding quality of a totally unique and living environment. Listening to the copious number of audio diaries left lying around provides the space station with a unique trait of real human immersion, one that most games neglect with an open-world setting. Through a morbid yet empathetic sense of curiosity, playing Prey forces you to want to know more about the dreadful fate of the majority of the station’s crew. Talos I feels like a human space station. In the absence of its populace, for the most part, it feels like people used to live there, like the shadow of its community still lingers. It feels real; it feels like Rapture, like Columbia, like the Von Braun, but it retains its own unique reality in spite of all the clear and obvious influences. Prey is a solid foray into reboot territory, succeeding where so many other reincarnations of classics have failed. With a star-studded trifecta consisting of a certifiably better-than-average development team, a formidable synthwave composer, and the finishing touches of Chris Avellone, it performs as well as expected, while leaving room for improvement. It’s a mongrel, built from the ground up using hefty influence from many turn-of-the-century, revolutionary classics, but it still manages to remain its own game. Follow @CSGMagazine on Twitter for updates concerning new article releases, or @RossSHindle for his own personal thoughts and individual articles. 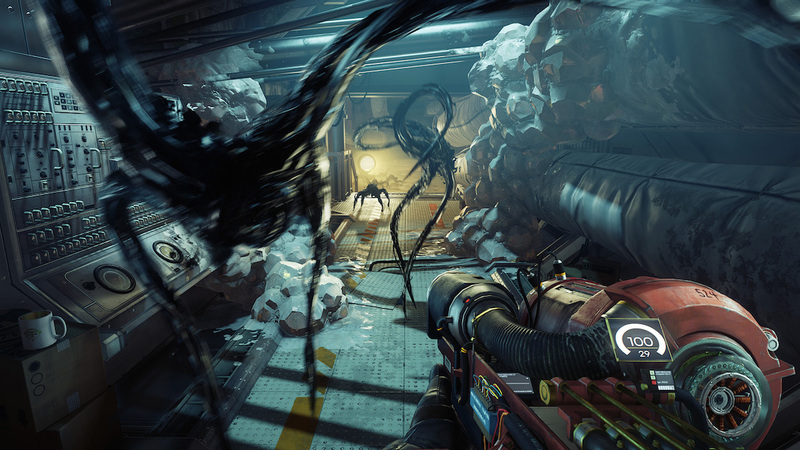 Why not also tell us what you thought of Prey in the comments section below?